TOA Canada Corporation, manufacturer of commercial audio and intercom products is pleased to announce the appointment of Rico Lucia to Director for TOA Canada Corporation. In April 2017, Canada became one of only three TOA subsidiaries across the world to have a director appointed, joining South Africa and Hong Kong. In fact, the corporation has only appointed directors one other time in its history, in Europe. This alignment is part of TOA Corporation’s strategic business plan allowing subsidiaries have more autonomy within their region. In this role, Mr. Lucia is responsible for all the business operations in Canada, including new business development, sales, marketing and operations team leadership, as well as policies and procedures. Over the past two years, TOA Canada Corporation has significantly grown its Canadian operations, exceeding sales targets year over year. Mr. Lucia has been instrumental in refining the organizations processes and operation contributing to the sales growth and TOA’s success. “Rico is the youngest international TOA staff member to be promoted to the role of director. He has a proven track record of growing sales and leading operational development with a strong customer focus. Rico will be a strong leader for the Canadian market and commercial audio and intercom industry. ” commented Mr. Mitsuhiro Omura, President and CEO. Please join the staff at TOA Canada Corporation in congratulating Rico on his promotion. 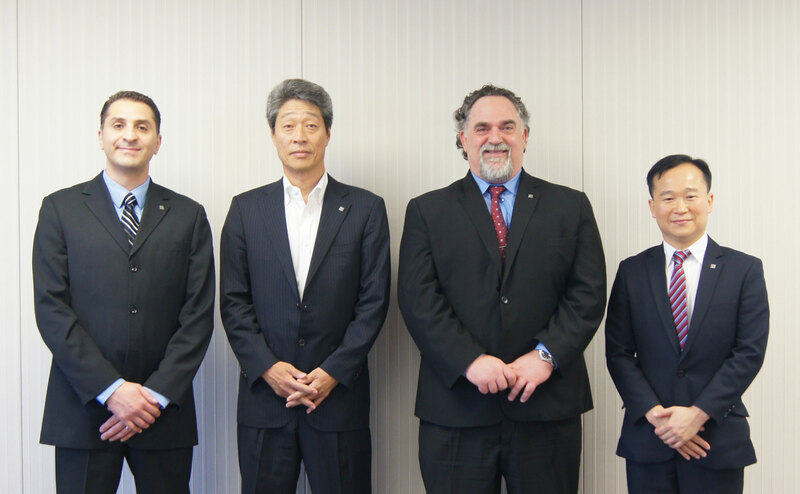 Image from left to right: Rico Lucia (Director Canada); Mr. Takeuchi (President, TOA Corporation (Japan)); Ralph Singer (Director, South Africa); and Jason Tsang (Director, Hong Kong).